Religion at its best provides meaning and direction in an often confusing world. 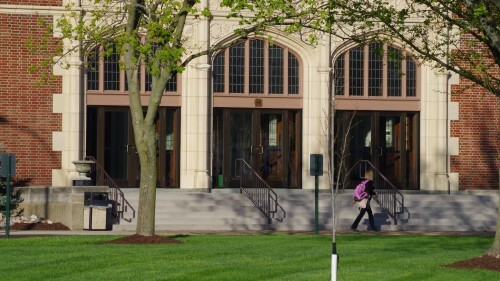 On most college campuses, a distinct separation exists between those areas marked as “faith or spirituality” and those considered “intellectual or academic”. Since 1827, Lindenwood University has sought to encourage students' growth in faith as well as scholarship. In 1853, the University’s founders, George and Mary Sibley, deeded Lindenwood to the Presbyterian Church on the condition that this University would always provide opportunities for students to learn the Scriptures. 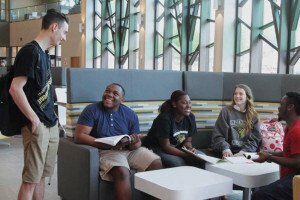 Lindenwood stands in a powerful and increasingly unique position to fulfill the mission to educate the whole person, helping students grow both intellectually and spiritually. Lindenwood continues that tradition, not only by offering a variety of religious coursework, but also by supporting student campus ministry groups of all faiths. The job of a chaplain is to respond to the needs of the college community, to those of various faith traditions, to those with no faith tradition who are asking the “big questions,” and to those who ask those questions and find that God or gods do not fit the answer. The University Chaplain, Rev. Dr. Nichole Torbitzky is available to meet with anyone for counsel, spiritual direction, or pastoral care.